Its grilling season and I’ve been doing a lot of grilling lately, so much so that I recently purchased a stovetop grill and I’m looking to purchase a table top charcoal grill. A bit much I know, but a small charcoal grill comes in handy when grilling small amounts of food. It’s all about convenience and ease. 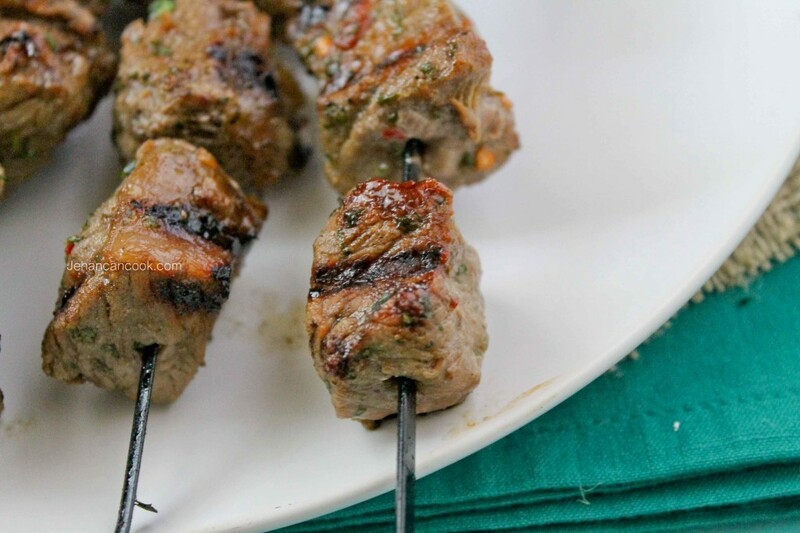 To christen my new stovetop grill, I prepared beef kebabs with a simple marinade that’s readily available in any pantry. If beef isn’t your thing, you can substitute any other type of meat such as pork or chicken. I used rib eye steak which was very tender even when cooked all the way through, it was juicy with a slightly sweet and savory flavor. 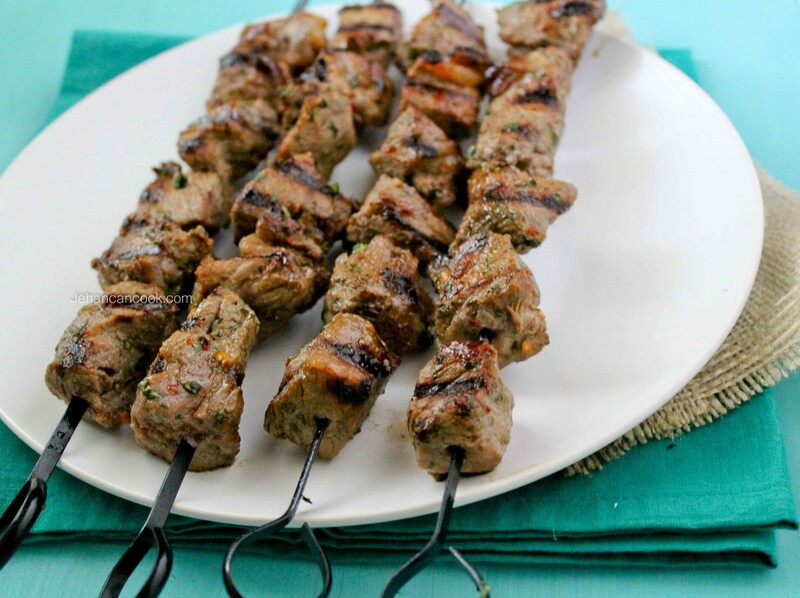 It’s the perfect recipe for summer entertaining; quick and simple yet impressive. Place beef in a large ziplock bag. Add all other ingredients to in a jar, cover the jar and shake until combined. You can also whisk the ingredients vigorously until combined. Pour marinade into ziplock bag with meat. Mix until meat is well coated, seal and let sit for 2-4 hours. 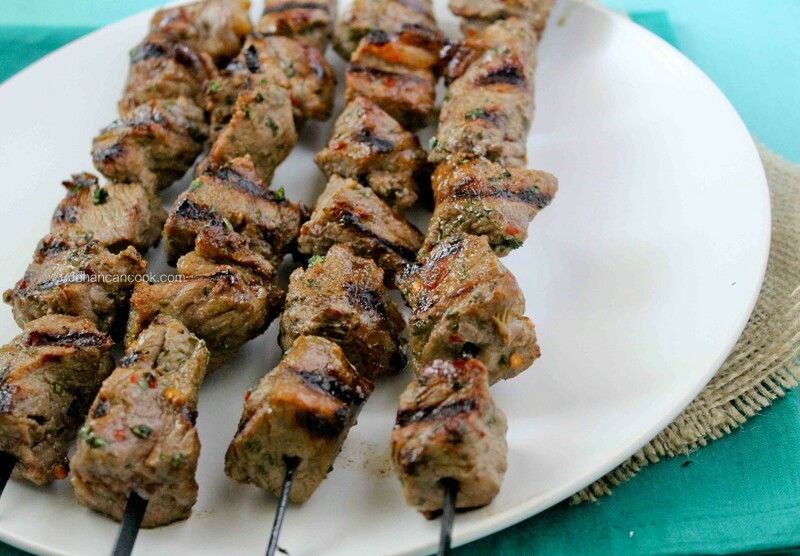 After meat has marinated, place onto skewers, then grill 5 minutes per side until done. You can adjust the cooking time based on your preference of how you like your steak cooked eg. rare, medium, etc. so absolutely perfect for summer! Made this last weekend with rib eye and on seperate kabobs with chicken thighs and they both were delicious!!! !